Gigi has finished a pair of socks of Neon Now socks for Jasmin. Jasmin finished both sleeves on the Kapuzin hoodie, in Lisa Sousa's Hardtwist, in the St Louis Blues colorway, and she has added and extra inch to the sleeves. Gigi has finished some preemie hats and cast on a new one. 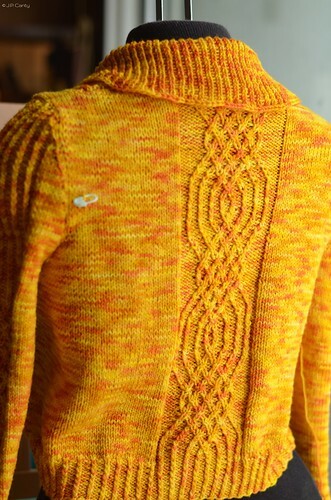 Jasmin sewed in the set in sleeves on the Barberry Cardigan (for Genevieve) out of Abstract Fiber Calder (in the "Saffron" colorway). #matchymatchyKAL #projectsweaterchest. She used the instructions for the collar on the Gramps cardigan. She used different techniques for inserting zippers. She used a Dritz Knit Picker and the tutorial from Eunny Jang. She also used a Hemstitch Needle to punch holes into the zipper tape. And she used a Brass Stiletto for punching holes into the zipper tape. Caro Sheridan wrote about it on her blog. This is the method with blocking wires. Also Threads magazine has an article about sewing zippers into knit fabric. Jasmin cast on the Baby Wrap Cardigan by Churchmouse designs, for Beanzilla, out of Manos Del Uruguay Alegria and Cascade Heritage. Gigi dug up and old sweater that didn't get finished, because the pattern had mistakes, and is wondering if she can finish it using instructions from Knit Wear Love . to determine stripe sequence, with Neon Now Yarn. Also, Forest on First has closed. This weeks winner is MISLISSA . 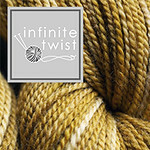 Newest prizes: Fox In Socks bag, by Little Skein in the Big Wool. about weaving in ends in socks. Gigi had issues at the post office. Initially, she didn't pick up enough stitches for the heel of the Neon Now socks and had to pull back the heel and and pick up enough stitches. Also, she was going to work on the Viajante #behmalong at Jasmin's house, and came without a pattern. It hadn't occurred to her to look on her iPad. This week we review Home and Away by Hannah Fettig. Gigi fixed the covers on her Shmop . Gigi sewed satin ribbon onto the seersucker dress she is sewing for Genevieve, and then pressed it and the seersucker pattern came through onto the ribbon, and was utterly unattractive. So she ripped it out again.